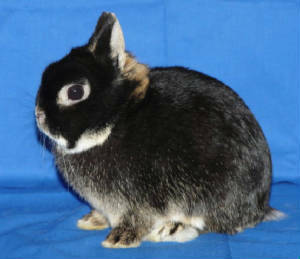 PacMan's daughter won 2008 "Rabbit of the Year" in the States. "Sadly PacMan passed away the summer of 2011 but we did keep a lot of his offspring so we can keep his line going!" This is the buck that I started my Netherland Dwarfs with several years ago and even though I sold all my dwarfs last fall, I have been lucky enough to get some of my old bloodlines back to start again. I have a new buck coming the first part of May and hopefully he will produce some nice babies with the 5 does that I have.